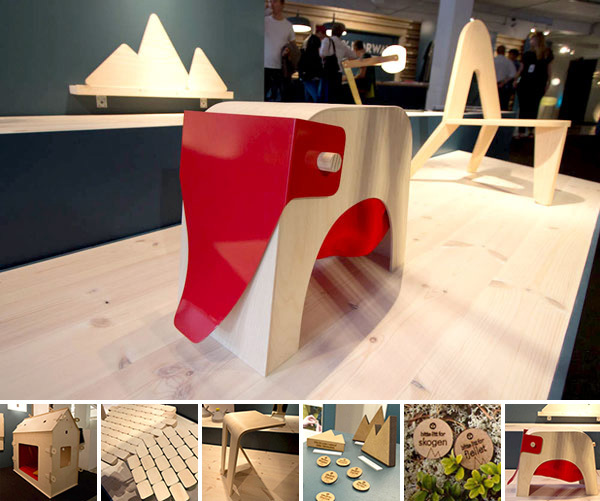 Elefant by Lina Vinja Lindal is a stool and recycling system for kids. 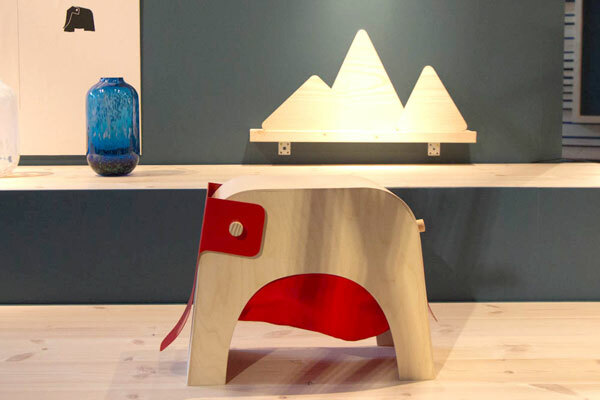 The elephant’s trunk holds cardboard boxes, its tail spins to allow you to add bottles and its belly holds a detachable canvas bag. 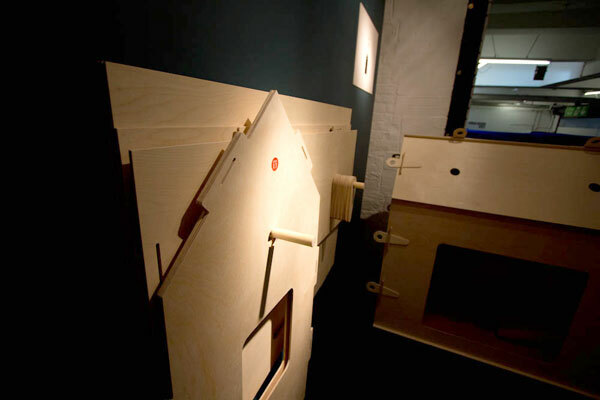 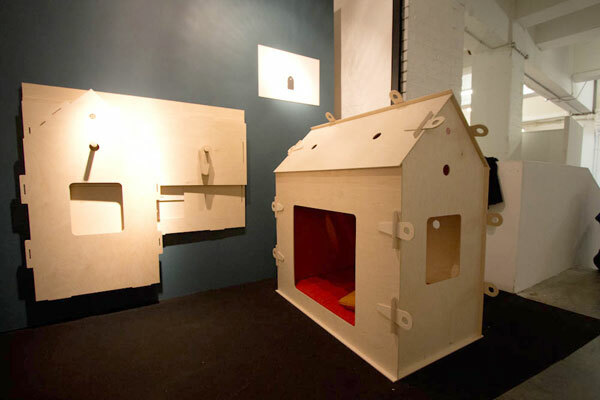 X-hus from Studio 17, a playhouse that packs flat and uses simple peg mechanisms so even kids can put it together. 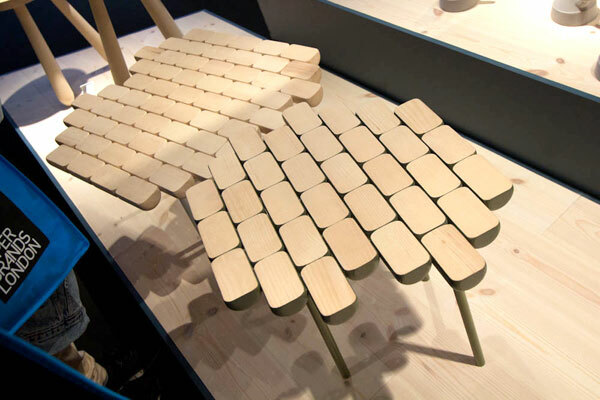 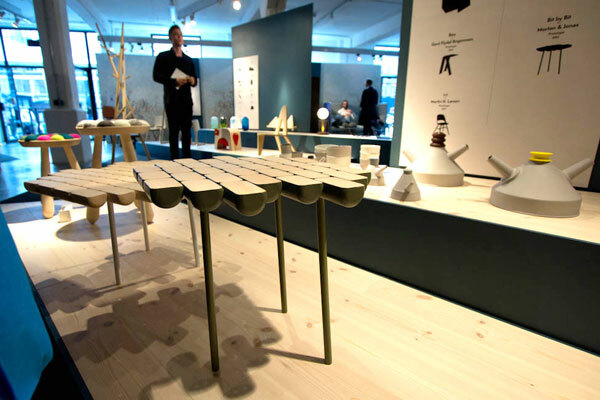 Bit by Bit by Morten & Jonas made from solid ash blocks on three coated steel legs. 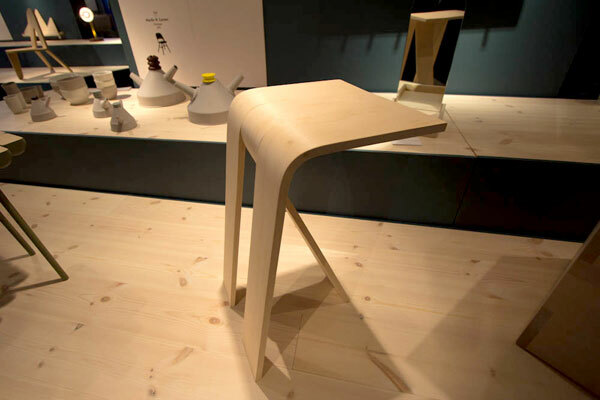 The Bøy stool by Gard Flydal Rorgemoen. 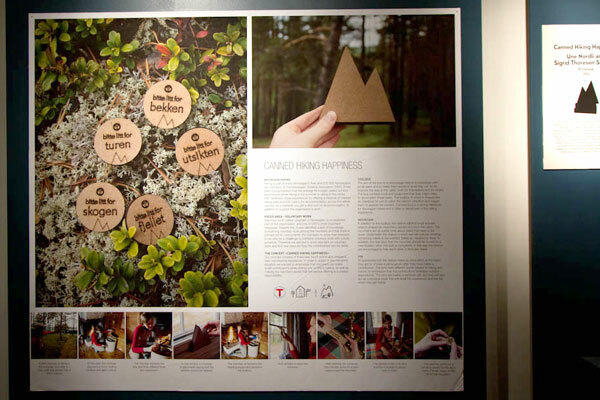 Canned Hiking Happiness from Une Nordli and Sigrid Thoresen Sandnes in collaboration with the Norwegian Trekking Association. 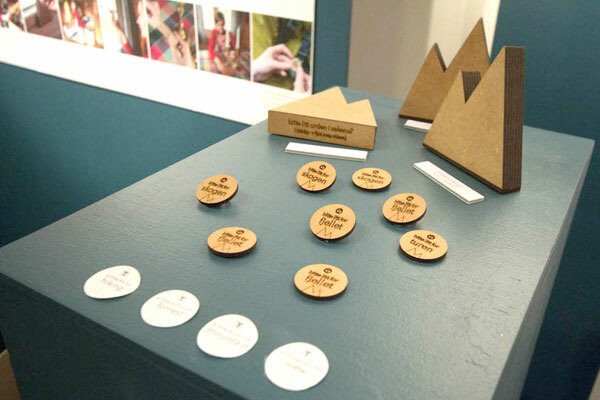 The toolbox encourages people to contribute when visiting one of the association’s cabins with mountains to highlight tasks that need attention and wooden badges as thank you tokens.